Conventional marijuana is grown with pesticides. 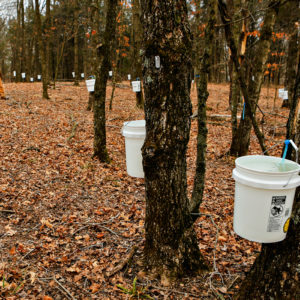 The Clean Green label hopes to help consumers and farmers find a chemical-free alternative. SoFresh Farms, in Canby, Oregon, is not what I expect. When I finally find it, on an out-of-the-way gravel road, I’m struck by how ordinary this rural neighborhood is. There’s a produce farm on one side; a man raising Longhorn cattle on the other. Magnificent Mount Hood dominates the skyline. Other than the 8-foot-high wooden fence surrounding the property, there’s nothing to tip me off that this is a cannabis farm. Further complicating my notion of a typical pot farm, I’m met at the gate by a tow-headed three-year-old boy wearing silver wings. “Do you know where Tyson is?” I ask, mentioning the grower by name. The boy looks at me skeptically until I introduce myself. “What’s your name?” I ask. After texting Tyson again, I ask Theo if he might be able to help me locate him. He opens the gate, offers me his tiny hand, and leads me down a flagstone path to a greenhouse. Tyson Haworth, a freckled 36-year-old farmer emerges from the greenhouse, wearing sunglasses and a worn SoFresh T-shirt. “I see you’ve met my son,” Haworth says, chuckling. As he shows me where to park, Haworth says he loves farming cannabis right where he lives. “My kids will never know that pot was illegal,” he says. Like many who have been growing for the medical marijuana market in Oregon, Haworth is over-the-moon that the state legalized recreational use of the drug last fall. He’s on a mission to destigmatize cannabis. “Marijuana was used for millennia,” he tells me, noting that the Chinese have long prescribed the plant for medicinal purposes. “And it was in the U.S. Pharmacopeia until 1942!” But he’s also on a mission to prove to other cannabis growers that you can successfully grow pot using agroecological farming methods. “I’ve got little kids. I don’t want toxic chemicals around,” says Haworth, who intersperses his rapid-fire facts about cannabis farming with quotes from organic pioneer Elliot Coleman and organic soil guru Jeff Lowenfells. Though Haworth’s farm will never be USDA-certified organic (that is, until marijuana is legalized at the federal level), it is verified by Clean Green Certified, one of the only third-party certifiers to hold cannabis farmers to national and international organic standards. If you smoke a joint, you’re not just inhaling THC and other cannabinoids. You’re also likely breathing in dangerous neurotoxins and cancer-causing chemicals. Now that recreational marijuana is legal in four states—Alaska, Colorado, Oregon, and Washington—a dirty little secret about the pot industry has surfaced. Pot growers—especially those who cultivate plants indoors—rely heavily on pesticides. A host of pests and other plagues can devastate cannabis crops: spider mites, root aphids, mosaic virus, and downy mildew are just a handful. Many cannabis farmers tend to turn to insecticides and other chemicals as a quick fix. “Growers use everything from myclobutanil [a fungicide sold under the brand name Eagle 20] to synthetic pyrethroids,” says Chris Van Hook, founder of Clean Green Certified. The latter include Avid (abamectin) to control spider mites, and bifenthrin, which has been classified by the EPA as a possible human carcinogen. Growers also use chlorpyrifos and malathion, both organophosphates known for damaging the human nervous system. “Whether it’s medical or adult recreational use, you need to be concerned with the manner in which it’s grown, because you’re ingesting it,” cautions Van Hook. The way it’s ingested matters too; preliminary studies show that marijuana concentrates like oil and hash contain much higher pesticide residue levels than buds. Van Hook founded Clean Green Certified a decade ago. A U.S. Department of Agriculture-accredited organic certifier as well as a lawyer, Van Hook has worked in agriculture and aquaculture his whole life. In 2003, Van Hook was approached by a grower who wanted him to certify her cannabis as USDA organic. Van Hook explained that he couldn’t do that with a crop that is still illegal at the federal level, but the grower argued that there was a need for third-party certification. Van Hook discovered he could use U.S. and international organic standards to certify cannabis as long as he and certified growers don’t use the word “organic” or “USDA organic” to describe their product. Clean Green was born. To be Clean Green certified, you must also have a carbon reduction plan in place, whether that means buying renewable energy and using more efficient lighting or locating your dispensary close to your grow operation to cut down on transportation-related emissions. “People in educated urban areas need to bring the same attention to the cannabis industry that they bring to their food and to their shade-grown, bird-friendly organic coffee. And they need to do it this year,” Van Hook says, a note of impatience creeping into his voice. It seems some already are. 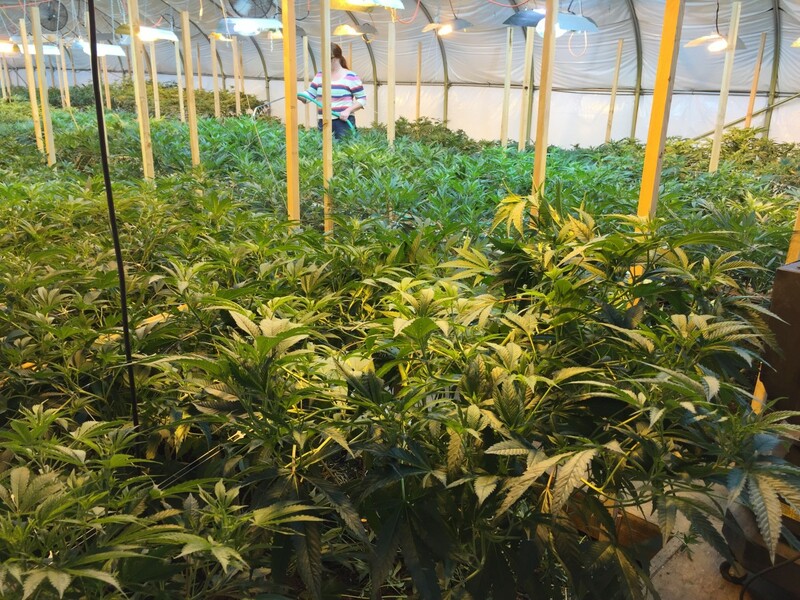 To date, Van Hook has certified nearly 100 growers, processors, and handlers and says he’s seen an uptick in applications since Oregon legalized marijuana. Tyson Haworth at SoFresh Farms is one of them. 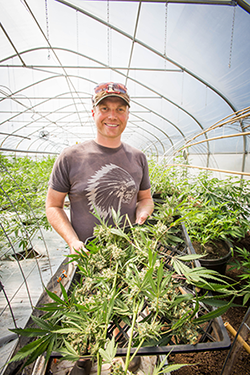 Haworth came to cannabis farming via organic agriculture. He worked for the produce distribution company Organically Grown Co. for 13 years before starting an indoor tomato farm. But it wasn’t until his wife Michelle had her second back surgery that the couple started to grow marijuana. Michelle was hesitant to take the opiates her doctor prescribed because she feared addiction. Smoking pot gave her immediate relief from the incessant pain. Eventually, realizing he could earn much more growing medical marijuana than he could growing off-season tomatoes, Haworth started SoFresh in 2012. There was no question that he’d farm cannabis using organic practices. This summer, Haworth is growing outdoors for the first time. The plants will grow to be nine feet wide and twelve feet tall. Although Haworth still cultivates some plants indoors, he doesn’t think it’s the future—especially now that pot is legal in Oregon. Soil health is of critical importance to Haworth. First, he puts down a layer of straw, then a layer of soil mixed with biochar, a soil amendment akin to what you’d find in an old growth forest. Then he adds a layer of compost or worm castings and then a final layer of straw. Finally, the soil and the plants are inoculated with mycorrhizae, which creates an intelligent food highway underneath the roots. SoFresh is also one of the only cannabis farms in the U.S. that practices no-till agriculture. In its small 600 square-foot grow room (formerly a horse barn), I’m surprised to see wooden planks between the rows of impressively flowering Nuken, Black Betty, and Sweet Tooth—the strain that won the Amsterdam Cannabis Cup in 2001. Tattooed workers balance on the planks as they thin the canopy, so as not to disturb the soil. “It’s important that there’s no compaction,” explains Haworth as he shows me around. 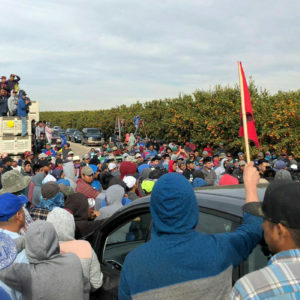 “Lack of moisture and compaction are what kill the soil.” After harvest, the workers cut the plants and leave the stem to decay into the soil. Where other farmers apply myclobutanil, Haworth keeps mildew and mold at bay with fans and a large dehumidifier, and keeps the plants thinned for better air flow. Haworth and his staff also spray the cannabis leaves with a compost-and-roasted-eggshell-tea, which is high in calcium, explains farm manager Missy LaGuardia. Calcium deficiencies can make cannabis plants more susceptible to pests. LaGuardia keeps the plant moist by spraying a mixture of aloe and fish oil on the leaves. “It mimics a really healthy mid-summer rain,” says LaGuardia, who usually sprays it at night. LaGuardia says they populate the farm with ladybugs as soon as they see signs of aphids. Outdoors, natural predators like tree frogs and mice do their share of work, though LaGuardia admits they also eat the beneficial bugs. Photo of Tyson Haworth by Michael McDermott. 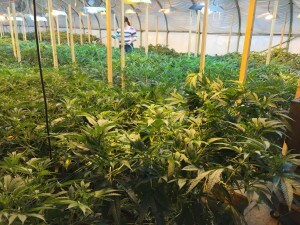 Photo of marijuana plants courtesy of SoFresh. It should also be mentioned that there is another certification program available to cannabis farmers - Certified Kind which is based in Oregon rather than in California which is where Clean Green is based. 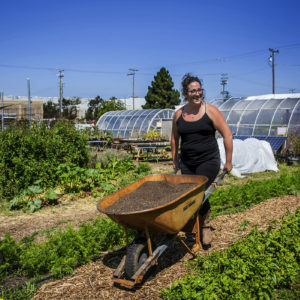 Same stringent standards, and started by folks who used to certify for Oregon Tilth, the country's third largest USDA accredited third party certifier for organic growers and food processors. I'm Barbara from Italy and I was impressed by your story because I really appreciate the fact that the farm doesnt use pesticides. 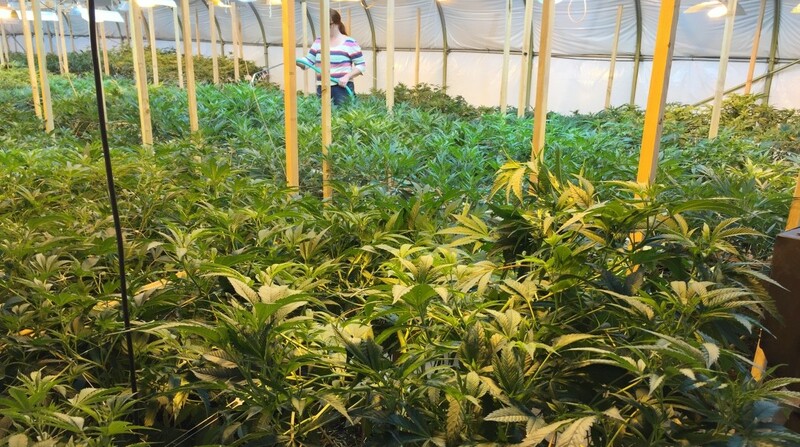 I really would like work in a weed farm I have never had this expirience and I wondered if it would be possible to have a chance to work with you or if you could give me any advice. Do you have any volunteer opportunities? Clean Green certification is equivalent to various "pesticide free" 3rd party certifications, but is FAR from the requirements for USDA organic which requires long-term soil fertility management and crop rotation practices. Look to Certified Kind 3rd-party certification if you want actual organically-grown Cannabis.